MerchantWords is here to help you tackle the end of 2018! With the holidays right around the corner, it’s time to make your to-do list and check it twice. The fourth quarter is the busiest time for the retail industry. You’ll want to be prepared for the season along with big shopping days like Black Friday (Friday, November 23) and Cyber Monday (Monday, November 26). No one knows for sure if Santa and his elves use Amazon. But, just in case they do, we’ve put together a checklist to make sure you’re ready for their Christmas order. 1. Check your inventory and know the key dates. To make way for your holiday products, review your inventory. Remove any products that have been taking up shelf space and running up long-term storage fees. This process will also remind you which products need to be re-stocked. The last thing you want your customers to see is “Temporarily Out of Stock” during the peak shopping season. To ensure that this won’t happen have plenty of inventory and, if you use FBA, get it to Amazon early. For Black Friday and Cyber Monday, Amazon recommends that your products arrive at a fulfillment center by November 7. To ensure you're ready for the influx of Christmas shopping the next date to keep in mind is December 1. Remember, that with winter weather and the huge number of packages shipped during Q4, it may take longer than usual for your product to arrive at an Amazon fulfillment center. Give your products plenty of time to ensure that they arrive early, despite any delays. In 2017, Amazon fulfilled a vast majority of holiday orders on December 19th. With Prime memberships increasing in 2018, and next-day and same-day Prime becoming available, you’ll likely see more last-minute purchases than ever before. Continue to send inventory in throughout December to keep your coffers full and customers happy. Don’t forget that people will be shopping even after the holidays are over – gotta spend those gift cards! Amazon asks that any products intended for 2019 not arrive at an Amazon facility until after December 17. 2. Ramp up your advertising and marketing campaigns. To get the most eyes on your listing be prepared to run a holiday sponsored PPC advertising campaign! Be ready to bid more aggressively for your top keywords and remember to set a higher budget for the end of the year. If you set your daily budget too low, shoppers won’t see your ads later in the day, when a lot of people are searching for just the right gift. Before the beginning of the holiday shopping season test both automatic and manual sponsored ad campaigns. You can refine your manual campaigns using the best-converting long tail keywords from the automated campaign. With these keywords, your ads will be more targeted to customers that are likely to make a purchase. If your advertising budget is on the smaller side, this can be a useful technique. This way, you’re focusing on the keywords that produce the most return on investment rather than battling it out for more competitive and pricier top-of-the-funnel keywords. 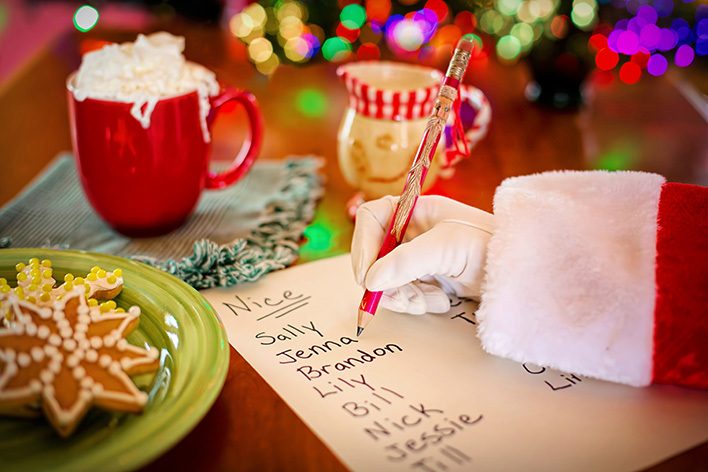 PPC campaigns aren’t the only campaigns you can utilize during the holidays. Take advantage of all the marketing channels available – content articles and videos, email marketing, and social media. Focus your social media posts around product uses throughout the holiday season or who would like to receive it as a gift. Or provide holiday information relevant to your product. Think fun and silly, like BuzzFeed. Driving traffic to your Amazon store and listings from other sources provides you with more opportunities to build your brand and capture customers. 3. Get better Amazon search ranking and optimize listings. As millions of people all over the country, and the world, head to Amazon to find the perfect holiday present make sure you have the best possible keywords in your product listings so customers see your products on the top search pages. Take a fresh look at each listing’s title, description, bullet points, and search terms (backend keywords) to determine the best use of relevant and highly searched long tail and top-of-the-funnel keywords in each section. Our database has over one billion unique keyword phrases, so you can be sure you’ll find the right words to communicate with your customers. Consider incorporating holiday phrases into your descriptions and search terms to give your products an additional boost during the holiday shopping season. Phrases like “gifts for mom” and “great for Christmas” are typed into the Amazon search bar more than you think! Also, look at your Amazon seller reports. The Listing Quality and Suppressed Listing Report will help you see if Amazon has a problem with one of your listings. If they do, you’ll want to take care of it well in advance of the holidays! 4. Be a shipping ninja. If you use Amazon FBA, and they handle your fulfillment, move on to the next item in our checklist. However, if you’re fulfilling orders yourself, you’ll need to be on top of your game. Check your orders daily to ensure that you’re shipping promptly. Nothing can motivate a customer faster to leave a negative review more than a Christmas present that, well, didn’t get there in time for Christmas. 5. Manage returns quickly and with a smile. Not every holiday gift is a hit. After the holiday season, you might see an increase in returns. The return process almost always favors the customers, so remember to check Seller Central frequently to handle any FBM returns quickly. Good customer service and an easy return process can lead to a positive customer review even when the product isn’t the perfect gift. With Amazon’s new replacement policy FBA exchanges will look different than they have in the past. Make sure to read up on this new policy so you’re aware of the effect it will have on your inventory. What else is on your Q4 e-commerce checklist? Tell us on Facebook or Twitter. MerchantWords wishes everyone a happy and prosperous holiday season!